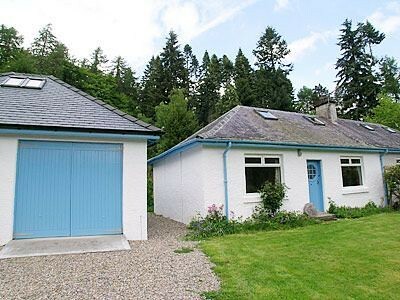 This lovely semi-detached holiday cottage is situated just 2 miles from the picturesque village of Fort Augustus in the heart of the Great Glen. 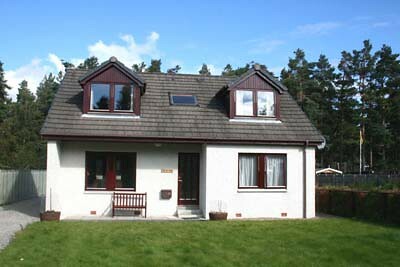 Enjoying a peaceful wooded setting, it is ideally placed for touring this beautiful part of the Highlands. 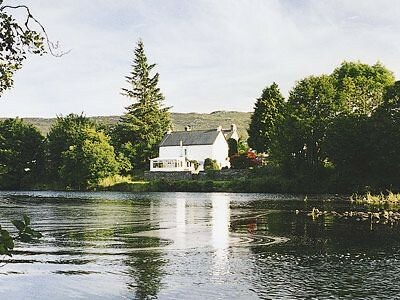 Fort Augustus is situated on the edge of Loch Ness with the Caledonian Canal running through its centre. 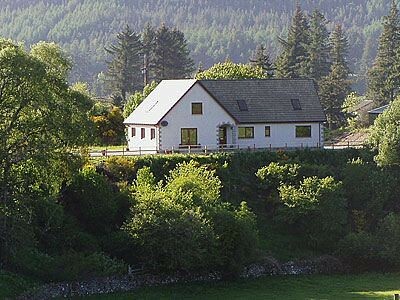 Close to the Great Glen cycle, with many forest walks in the area, the cottage is a super base for those who enjoy the outdoors. Loch Ness 2 miles. Shops and pubs 2 miles. Ground floor: Living/dining room/kitchen with wooden floors. 2 bedrooms: 1 double (5ft), 1 bunk (top bunk for alternative sleeping). Shower room with toilet. First floor: 1 twin bedroom with sloping ceilings. Multi-fuel stove in living room inc. NSH, elec, bed linen and towels inc. T/cot. H/chair. CD. Elec cooker. M/wave. W/machine and t/dryer in shower room. Wi-fi. Enclosed garden with sitting-out area and furniture. Parking (2 cars). No smoking. 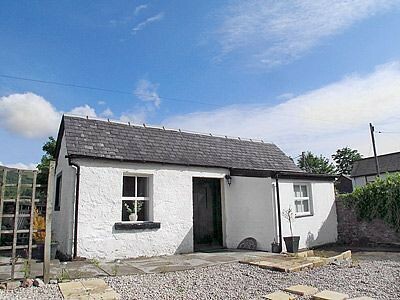 1st comment: Great cottage in a great location. Plenty of walks nearby. 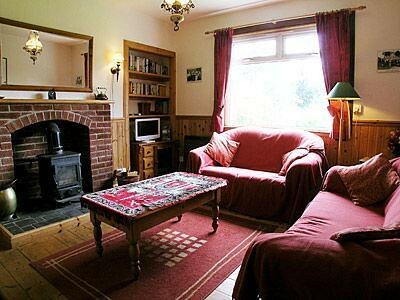 Very comfortable cottage with lovely log burner. Jan 2012. 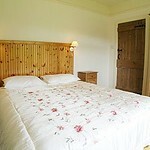 2nd comment: Out of the many cottages we have stayed this is the best one for comfy beds. Varied wild life visits the garden, watch out for the robin that comes into the house when the back door is left open. Quiet location if you just want to chill, good walks for all abilities,easy access to everywhere. Would have liked Wi-Fi though. July 2011. 3rd comment: Apart from attic room, everything else on ground level. May 2010. 4th comment: Nice quiet location, clean and tidy. Dec 2009. 5th comment: We liked the location of the property and having a stove fire. Oct 2009. 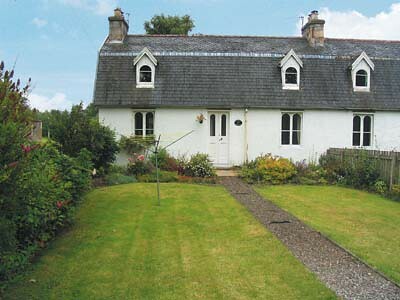 6th comment: A lovely cosy cottage which looks small from the outside but is spacious and very well stocked inside. 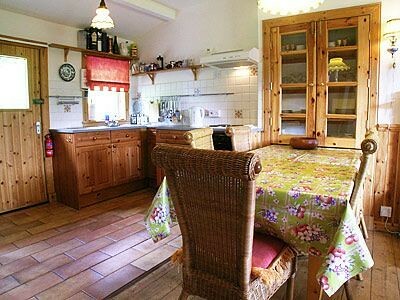 It is very warm and the kitchen has everything you need. 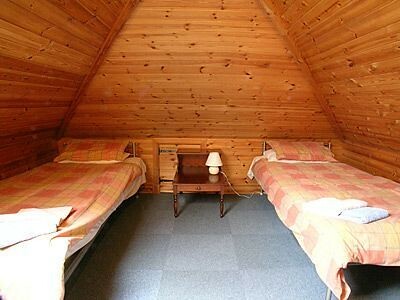 It is very quiet and in a nice secluded location surrounded by forest. Oct 2009. 7th comment: Very peaceful. Sept 2009. 8th comment: The location was excellent and the house was well equipped the wood burning stove was a treat as were the birds and pinemartins. the 2nd bedroom on the ground floor smelled of damp and the bedding looked old and dull could do with a bit of refurbishment. Sept 2009. 9th comment: Allows my dog to stay. Sept 2009. 10th comment: Off the beaten track but with amenities close to hand. Having a host of birds in the garden, a mouse and a pine marten added to the fun. The cottage was a comfortable size, and cosy too. Everything we needed was there, as well as apples and blackberries in the garden! Aug 2009. 11th Comment Good place, nice pine martin. Aug 2009. 12th Comment Kitchen had spices, cooking oil, and cleaning materials etc. I’ve stayed in a lot of cottages where they are emptied of such things between each guest and everyone who stays there has to replace them each week - this was a refreshing change. Aug 2009. 13th Comment It was a very nice cottage, which had all the things in it that was needed. 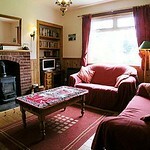 Also the cottage was very cosy and comfortable. Great country, with beautifull nature. Peolple are friendly and the roads are great. July 2009. 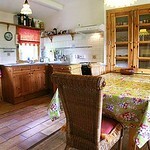 14th Comment We loved Little Forest Cottage. Very quiet and peaceful location. Secure, enclosed and sunny garden for our dog. 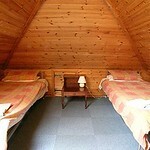 Accommodation was very comfortable and cosy with everything we needed. The woodburning stove was great! 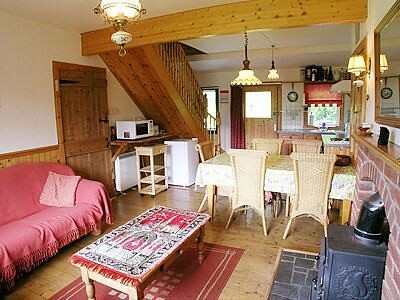 Would definitely rent this cottage again. July 2009. 15th Comment Beautiful walks straight outside the door. Feb 2009. 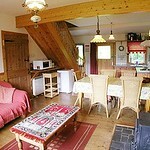 16th Comment A lovely cottage, well equipped and in peaceful setting. Wood burner helps make it homely and very cosy. 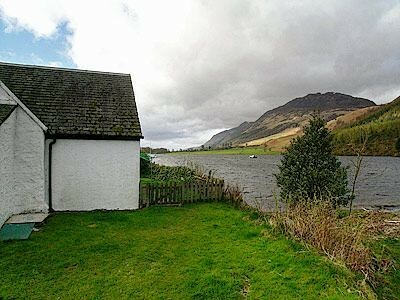 Good location for the beautiful Highlands. Kids loved the garden and location - seeing deer in the front early morning. I would recommend it. April 2008. 17th Comment The owner could always change the name of the cottage to ’Little Hidden Gem’; for that’s what it was! Aug 2008. 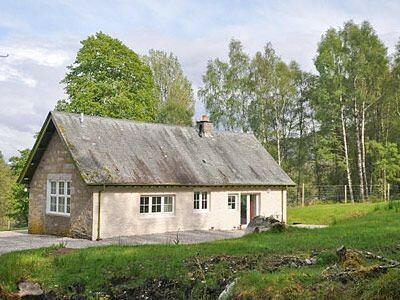 Charming cottage for 2 near Glenmoriston on a river bank. 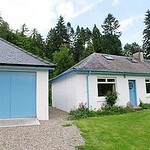 Located in remote location north of Fort Augustus in village of Ceannacroc. 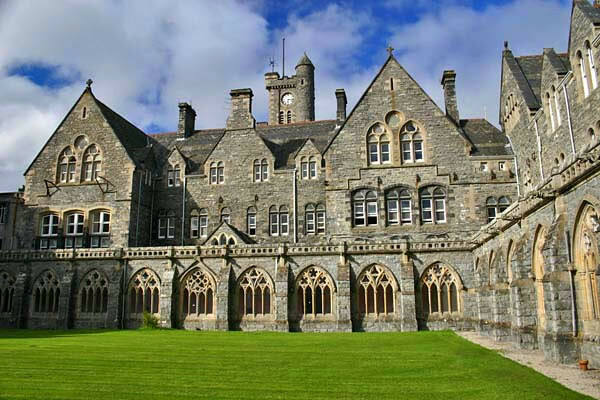 37 Luxury Apartments,from 1- 3 bedroom all self catering and to suit all budgets in the converted Fort Augustus Abbey, situated on the banks of Loch Ness. 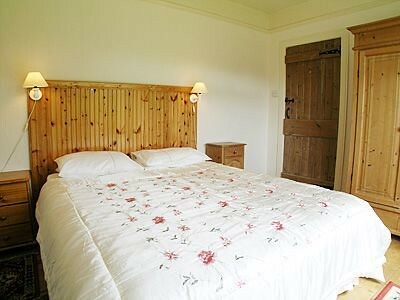 On site facilities including Swimming pool, Sauna and Steam room, gym. Tennis, Badminton, Football, Table Football and on site Boathouse restaurant. 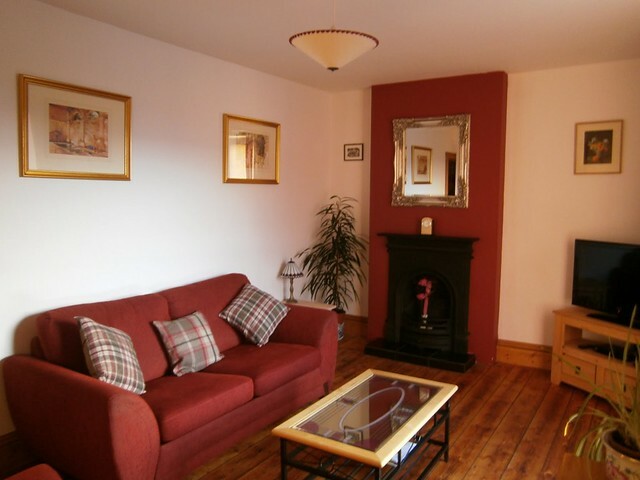 Recently renovated to a very high standard this 1st floor holiday apartment at The Old Convent is situated in the very picturesque village of Fort Augustus which is geographically the centre of the Highlands, perfect for touring the area.